Miniature Tiny Grecian Pewter Keepsake Cremation Urn for Funeral Ashes UK. The beautiful Grecian Pewter Keepsake Urn is hand cast from high quality brass, and finished with a simple, classic polished brass and black brass detail. 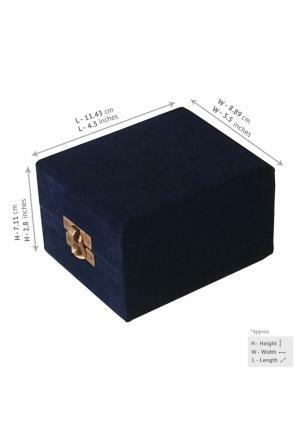 The body of the urn is crafted to resemble classically styled Grecian funerary urns. Its superb finish is achieved with brushed pewter. The Grecian Pewter Keepsake Urn measures 2.7” in height. 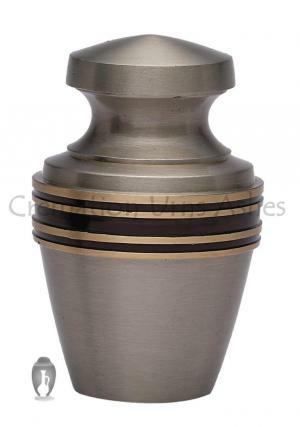 It weight just 0.14kg when empty, and is designed to take a small portion of the ashes of a loved one for private memorial purposes. 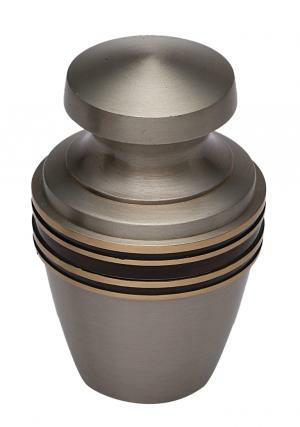 Metal urns and brass urns have been used for millennia, to commemorate the passing of a loved one. The Grecian Pewter Keepsake Urn is designed to reflect that long heritage. Its lines and decorative design are reminiscent of the urns used in Ancient Greek temples and noble houses, and will perfectly offset your personal memories. 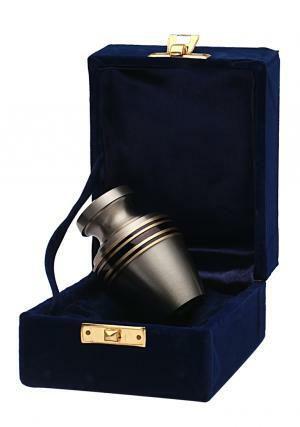 It can be hard to choose an urn, particularly for someone close to you. If you have any trouble with your selection, please feel free to call or email our customer services department, which will be more than happy to help. 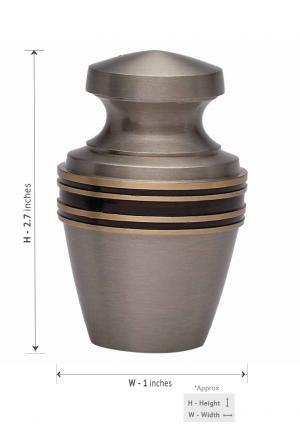 We can advise on the number and style of keepsake urns to buy for your specific purposes; and are also here to answer any questions you may have about the differences in size and use between a full cremation urn and a personal keepsake urn. You can get in touch with us either by telephoning 020 8004 6667, or by emailing cs@cremationurnsashes.com. If you would like a callback, please request through email.